Imagine signing your letter of intent, planning your future around one college, and preparing to play the sport you love for four more years, only to have the dream, turned plan, ripped from your hands just months before the ball gets rolling. This is a recent, harsh reality for many seniors all over the country. Colleges across the nation are cutting athletic programs due to budget constraints. Although many of these colleges still offer the athlete scholarships, it changes the scope entirely for the athletes next four years. They have to make the decision to stay at that college, but not play their sport or rush to find another college that could possibly offer them an athletic scholarship. Either way is not ideal. On top of this, senior athletes with multiple offers turned down other schools for their chosen school that ended up not providing the opportunity promised. This leaves less options and more stress for the student-athlete, as they thought they had finished with the hard decisions. However, cutting athletic programs at universities is not just hard on the athlete who was promised a spot. It is also damaging to the student atmosphere of colleges. Enrolled students are all left thinking the same, looming question: what’s next? Members of other teams, clubs, or activities note the instability and question whether or not they should invest their time in something that could be so easily cut. If their school can cut baseball, what security is there for drumline or dance team? No program is safe. Each of the programs, with their long-standing traditions and customs, help build the university into what it is today. Alumni might choose to quit supporting the school financially because what they thought made the university great is gone. Their traditions and customs are no more, so why should they keep writing a check? The most obvious reason to find something else to cut in universities other than sports programs is that there will be a lack of opportunities for students on campus. 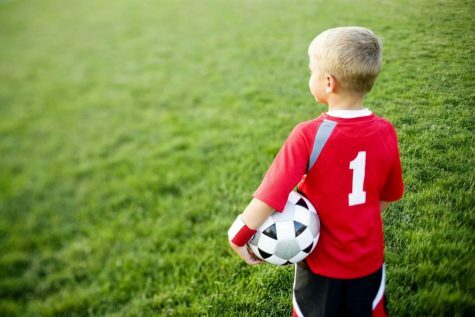 Less kids going out to ball games and less kids getting chances to play will lead to bored students and unsatisfied sports-watchers. Any way you look at the situation, it is a loss for any college to cut a sport with no warning, or at all. It is unfair for colleges to present an arrangement for an athlete without any recognition for a chance of it being cut. With no warning, high school seniors are being bombarded with news that their whole plan must be scratched at the last minute. There have to be other, more effective solutions to the evident economic problems surrounding these universities. Students should not have to worry about their scholarship security after they have already signed with their college. Athletic programs being cut lead to a panicked campus full of wary members of clubs and activities, and angry alumni/sponsors who will no longer support their alma mater. It is understood that money is tight at many of these colleges, but there have to be more effective and fair solutions to cut back on spending.